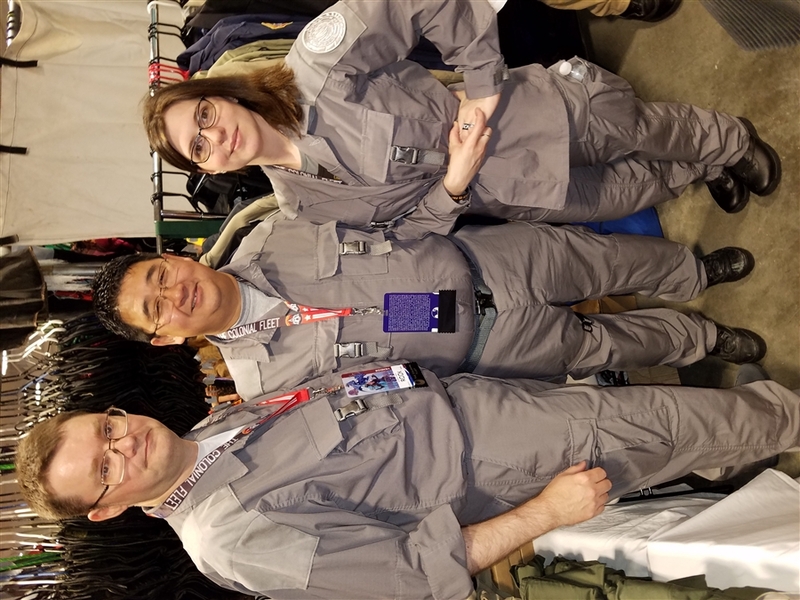 This costume is not seen on the new Re-Imagined Battlestar Galactica series, but it is inspired by both the Classic BSG and the newer Re-Imagined BSG series. We originally made these Grey BSG BDUs in homage to the passing of our friend Richard Hatch, who played "Apollo" on the Classic BSG and "Tom Zarek" on the new BSG, who passed way on February 7, 2017. In the Classic BSG, there were a couple of episodes where "Apollo" and "Starbuck" became "Angels" and wore all white Colonial Warriors uniforms (War of the Gods Part 1 and Part 2). In the Classic BSG, things were black and white, but in the newer Re-Imagined BSG, thing were always shades of grey, so we decided to make our BSG BDUs Light Grey instead of white. This is for the shirt only. Matching Pants with belt sold separately. Shoulder suede (made of Utlrasuede), webbing, and buckles are added. 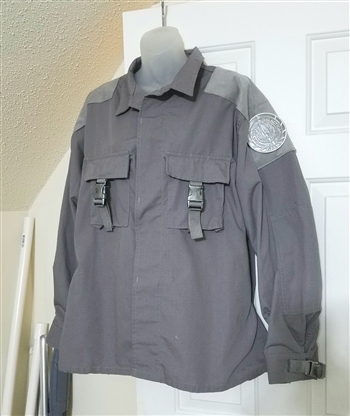 Ripstop fabric uniform includes velcro attached ship shoulder patch (BSG-75 included unless otherwise requested). If you want the Silver "Angel" BSG-75 Galactica patch, that is a special ordered item and not included with this item. Rank pins available separately. This is a custom made item. Please allow 8-10 weeks for delivery. Expedited service available for an additional fee.